Is a more convenient lifestyle one of your New Year resolutions? Located in historic and picturesque Beverly, this spacious and bright corner unit at coveted Bushby Estates will let you live the simple life you have been after. You will appreciate and check-off the modern amenities that are on your list: the luxury of two generously sized bedrooms – each with their own ensuite bathrooms, an open living and dining room, a fireplace, a private deck, central A/C, hardwood floors, granite counters, one car garage, the list goes on! This very special corner unit also has extra windows, allowing the sunlight to pour in. Welcome the New Year with gourmet meals prepared in your open kitchen, allowing you to easily socialize with your guests while you cook. The lower level boasts additional living space, perfect for a gym, media room, or office. 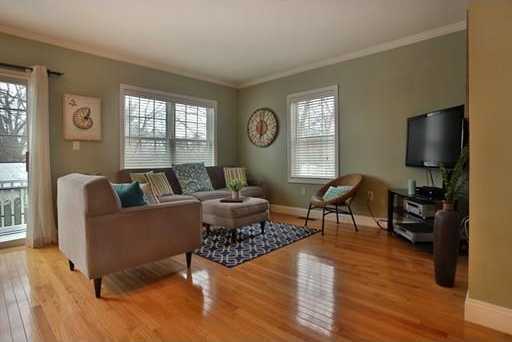 An excellent value north of Boston, take the plunge & this townhouse will make your New Year resolution a reality!